Hillmer, Norman. "The Canadian Peacekeeping Tradition". The Canadian Encyclopedia, 25 January 2019, Historica Canada. 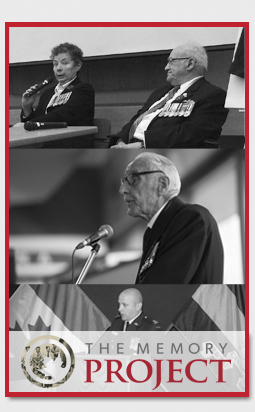 https://www.thecanadianencyclopedia.ca/en/article/the-canadian-peacekeeping-impulse-feature. Accessed 20 April 2019. In 1956, in the crucible of the Suez Crisis, L.B. Pearson invented United Nations peacekeeping. The Canadian foreign minister did not do so alone, and peacekeeping as it evolved was not exactly what he had in mind. In 1956, in the crucible of the Suez Crisis, L.B. Pearson invented United Nations peacekeeping. The Canadian foreign minister did not do so alone, and peacekeeping as it evolved was not exactly what he had in mind. Yet the United Nations Emergency Force (UNEF), which resulted from his persuasive diplomacy, set a precedent and a pattern. In the half-century since Suez, Canada has contributed to dozens of peacekeeping missions mounted by the UN and other international institutions. Tens of thousands of Canadian peacekeepers have served all over the globe. Even now, when the Canadian Forces (CF) are much more apt to be fighting for peace than keeping it, the notion of Canada as the world's peacekeeper holds sway over the national imagination. A Canadian soldier guards a UN outpost in the Suez region in the early 1960s (courtesy Canadian Forces/DND). Pearson won a Nobel Peace Prize for UNEF, and the force was led by a Canadian general, E. L. M. Burns, whose calming demeanor as he walked the line between Arabs and Israelis became a staple of the nightly television news. Canadians began to think of peacekeeping as their unique vocation. 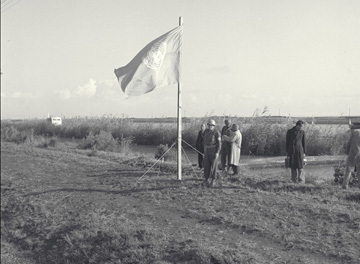 After UNEF came two more very large UN peacekeeping operations of the early 1960s, one in the Congo and the other in Cyprus. Canada contributed generously to both, so that in 1964 there were 2600 peacekeepers on UN operations. The Department of National Defence's policy statement of that year put the official stamp of approval on Canada's developing expertise. Without the tough mandates and pathways to a diplomatic solution that Pearson would have liked, peacekeeping was destined to be a messy occupation. The Congo was controversial, involving the UN's peacekeepers in a bloody internecine conflict. Cyprus was a success, but a limited one. The bitter dispute between Greek and Turkish Cypriots was frozen in place, not likely to get out of hand, but not any closer to solution either. In 1967, after Canadians had spent $64 million on UNEF, Egypt pushed out the peacekeepers in a prelude to the Six Day War. Prime Minister Pierre Trudeau, his mind initially on Canada and not the world, drew pessimistic conclusions about peacekeeping's chaotic progress. He let it be known that he would insist on stronger terms of reference and a "promise of success" in the future. It was already too late for that. Peacekeeping had become an irresistible Canadian impulse. When an opportunity came along to keep the peace in a second UNEF, Trudeau clambered on to the bandwagon. Public servants and the public alike embraced peacekeeping as a moral and constructive contribution to international order, the natural expression of Canada's post-Second World War desire to engage the world. Paradoxically, peacekeeping differentiated Canadians from Americans while assisting the United States by containing regional conflicts that could overheat the Cold War. Every poll, and every parliamentary debate, demonstrated all-party support for peacekeeping in all parts of the country. It was good politics as well as good policy. Ottawa participated in every UN peacekeeping mission from the Suez Crisis until the end of the 1980s. By then the Soviet Union was dying and with it the long Cold War. For a time everything seemed possible. Then, quickly, what had seemed to be a new international order crumbled into disorder. Peacekeeping seemed more relevant than ever as it took on multiple meanings in the 1990s: election-watching; preventive deployments; the implementation of peace settlements; humanitarian and human rights mandates; nation building, with civilian aspects like the training of police; and even enforcement of UN Security Council resolutions. Experts talked of "second generation" peacekeeping to distinguish between traditional UNEF-style activities, usually involving the monitoring of arrangements between consenting states, and innovative and possibly very intrusive operations that would not always have the approval of the parties on the ground. Increasingly, with a growing emphasis on nation building and more forceful rules of engagement, peacekeeping adopted traits more commonly linked to counterinsurgency operations and low intensity conflict. Peacekeeping had been supplemented by peacekeeping plus. 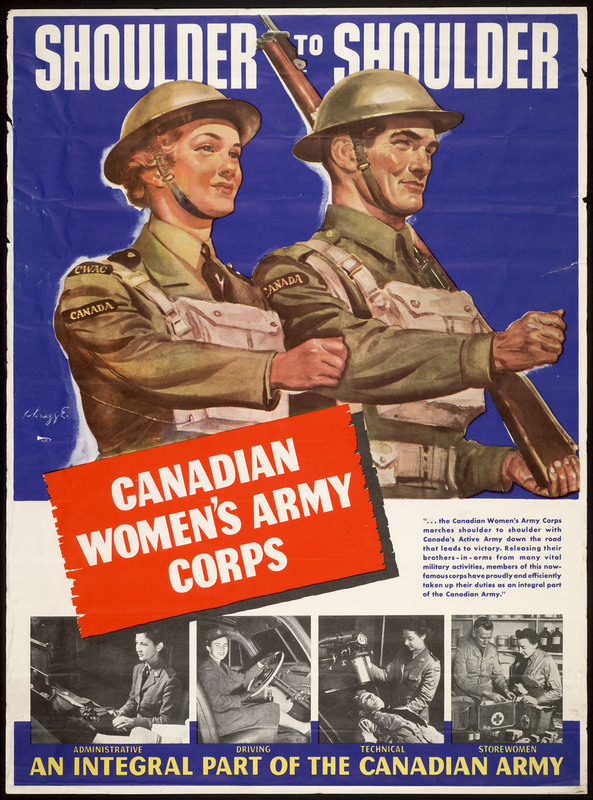 Canada was the leading practitioner of the old art, and the government seized peacekeeping plus as well. Prime Minister Brian Mulroney championed the responsibility to protect the world's downtrodden long before it became the centerpiece of Paul Martin's international policy. Early in 1993, there were more than 4700 Canadian Forces personnel on peacekeeping duties around the world. Thirty years before, in the heyday of the big multinational peacekeeping forces, Canada had deployed many fewer peacekeepers with a much larger armed force. Government budgets were telling two tales. The country's expenditures on peace support, an elastic term then coming into fashion, ballooned. At the same time, however, the end of the Cold War had led to defence cuts in the billions of dollars, leading to a smaller, straitened Canadian military force at precisely the time when the operational tempo of the CF was quickening. In the Jean Chrétien decade, 1993-2003, Canada was part of more than 40 peace support missions, ranging from high-end second-generation missions to low-level humanitarian support operations, and extending from Europe to Africa and Central America. Some of the images thrown up by these endeavours were unsettling, and worse, demonstrated that there were no rules and no certainties in the new peacekeeping: a Somali teenager, Shidane Arone, tortured and beaten to death by CF personnel; an anguished Romeo Dallaire, unable to prevent genocide in Rwanda; a handcuffed Captain Pat Rechner of the Princess Patricia's Canadian Light Infantry, taken as a hostage by Serbs in Bosnia. None of that dampened the enthusiasm of the Canadian government. None of it diminished the widespread support of the public for their peacekeepers, although there was clear nervousness when soldiers fell into harm's way. As Chrétien liked to say, peacekeeping was the automatic Canadian response to an international crisis. Such were the dangers and challenges, however, that the trend was away from UN peacekeeping, and towards the employment of coalitions of willing partners and regional organizations such as the North Atlantic Treaty Organization. The trend, too, was for the traditional stalwarts like Canada to do less UN peacekeeping, and for the developing world to do more. But Canada was not doing less for peace. At the end of 2003, the CF had 3345 personnel on international operations, the vast majority of those with the NATO operations in the Balkans and Afghanistan. Fourteen percent of the army was deployed internationally, second only to the U.S. among NATO members. Canada had its peacekeeping on the cheap for far too long, with few risks and many easily won satisfactions. The world has changed, and so have the types of missions the military performs abroad, but it is difficult to convince Canadians that their armed forces are not peacekeepers first and above all. They were never that. Effective peacekeeping is the byproduct of a highly professional and well-trained military prepared for any contingency. In a country chronically reluctant to support its armed forces, that has always been peacekeeping's most easily forgotten fact.